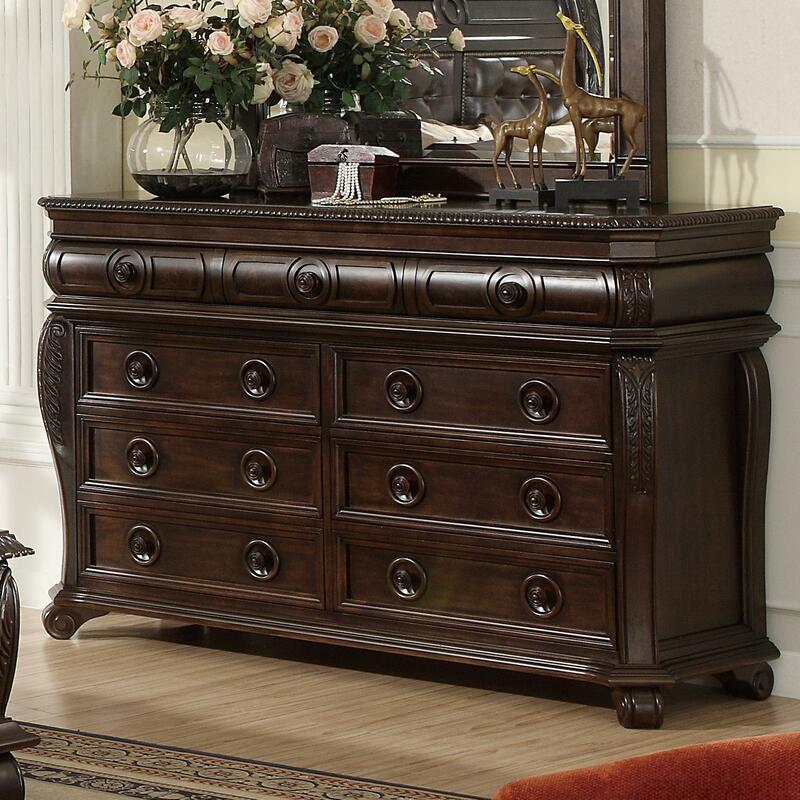 With attractive style and ample space, this drawer dresser is sure to please. 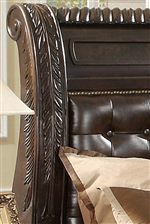 The piece carries a rich medium brown finish and features acanthus leaf detailing as well as round knobs with circle indents. In addition, the nine drawers are great for keeping sweaters, jeans, stockings, undergarments, blankets and bedsheets. Simply handsome, this dresser will make your bedroom decor complete. The B2160 Dresser w/ 9 Drawers at Miskelly Furniture in the Jackson, Pearl, Madison, Ridgeland, Flowood Mississippi area. Product availability may vary. Contact us for the most current availability on this product. Rich with traditional style and a wealth of detail, this bedroom collection is sure to leave you pleased. The pieces come in an extravagant medium brown finish and feature an acanthus leaf motif as well as round knobs with circle indents. In addition, the ample storage space is great for keeping sweaters, pajamas, books, DVDs, blankets and bedsheets. You can create an ideal sanctuary to leave your days troubles behind you with help from this bedroom collection. 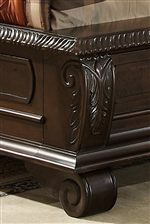 The B2160 collection is a great option if you are looking for Traditional furniture in the Jackson, Pearl, Madison, Ridgeland, Flowood Mississippi area. 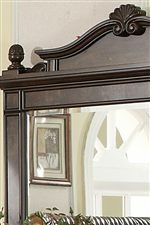 Browse other items in the B2160 collection from Miskelly Furniture in the Jackson, Pearl, Madison, Ridgeland, Flowood Mississippi area.